Kaitlyn Snyder and Michael Taylor have both committed to college programs for next year. Two Republic athletes committed to continue their careers in college. 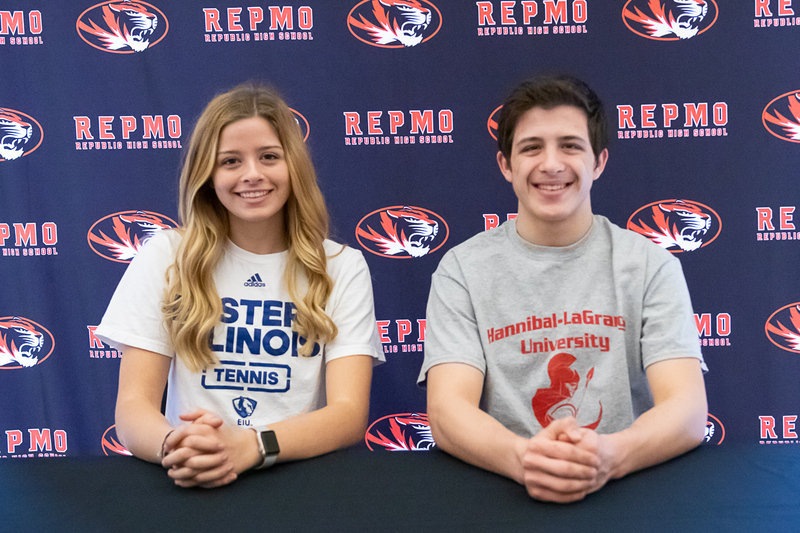 Kaitlyn Snyder will play tennis for Eastern Illinois University, and Michael Taylor will wrestle at Hannibal LaGrange University. Snyder becomes the first Republic tennis player to sign with a Division I program. She finished with a 31-3 record in singles play during her senior season last fall. “Her record––it didn’t happen by accident. 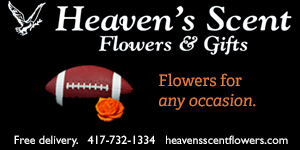 It’s all that hard work she put in in practice, during the matches, and working in the off-season,” said coach Dan Vales. Snyder chose Eastern Illinois after a visit confirmed that the university and the tennis program offered what she was looking for. Taylor is a three-time state qualifier who will be trying to qualify for his fourth consecutive trip to the state tournament when he wrestles at districts this weekend in Union. He has won more than 150 high school matches. Taylor said he chose Hannibal LaGrange for several reasons, including how the coaches treated him during the recruiting process.